Today we launch the updated New Character Experience which redesigns the Criatura Academy quest line to have more focus on fighting monsters and less focus on walking around the Academy maps. 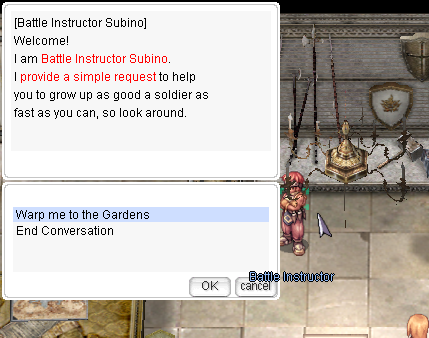 Battle Instructor Subino will now warp you to the Novice Gardens where you can complete quests for the class trainers to level up to job 10. 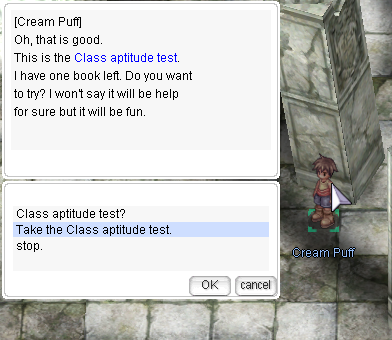 Once you have reached job level 10, you can speak with one of the class trainers or take the Class Aptitude Test to get a helpful warp towards your 1st job change area. With the new novice grounds, we are adding Level Up Boxes to enable new characters to have an easier time finding weapons and armor to equip. The untradable equipment from these boxes sell for 0z, and have weight 0. 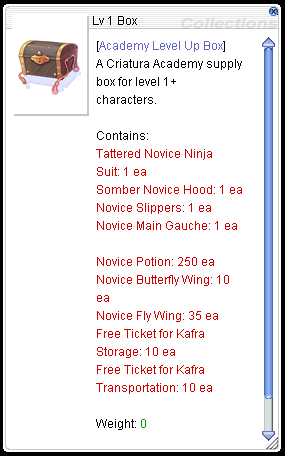 Novices who register for the new Criatura Academy will receive the first Level Up Box, which can be opened from level 1.